Today has been one of the strangest of my life. 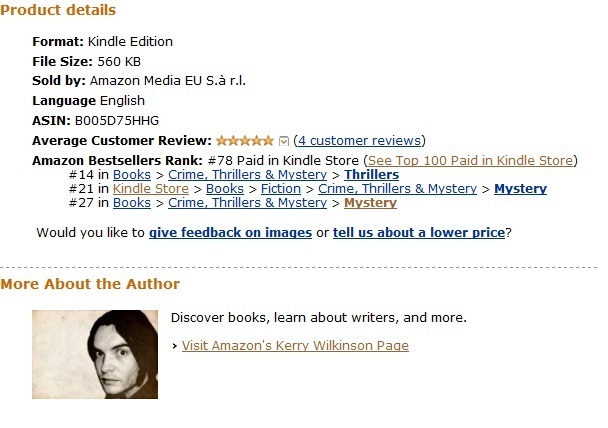 Locked In is now in the top-80 Kindle books on the whole of Amazon UK and at No.14 in the Thriller chart. Meanwhile, over on iBooks, I have spent the entire day at No.9. I haven’t moved up or down. I have had record traffic to this website too. I’m just so unbelievably grateful to those who have bought it and really hope you like it.